Free parking adjacent to the mansion. Gaylord's features rotating Hawaiian musicians & entertainment several nights a week. Kilohana Plantation, home to Gaylord's, offers diners additional entertainment and activities to enjoy during their visit: Ride the Plantation Railway through our sustainable farms, learn about rum making and taste the award-winning rum at Koloa Rum Co., or shop in the artisan shops scattered around the property and plantation home. Luau Kalamaku is Kauai's premeir luau and runs every Tuesday & Friday evening. We are Kauai's premier full-service catering experts. From intimate dinners to full-service event catering at your location, Gaylord's at Kilohana is equipped and staffed to make your event an unforgettable experience. Gaylord's offers one of Kauai's most beautiful settings for lunch, dinner or Sunday brunch. 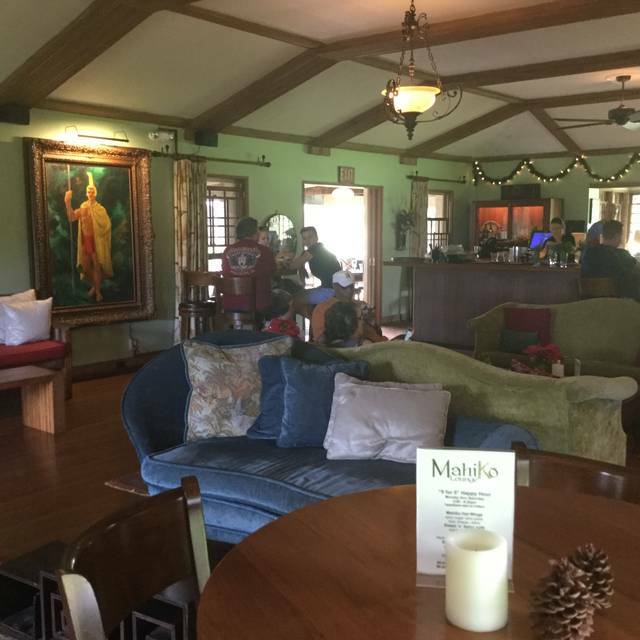 Located in the historic Kilohana Plantation home, diners are seated around an open-air courtyard with views of the plantation grounds and Mt. Waialeale in the distance. Our kitchen uses only the freshest, seasonal ingredients supporting our local farmers and fishermen. Our 67-acre sustainable farm provides much of the produce and herbs used in our dishes and cocktails. 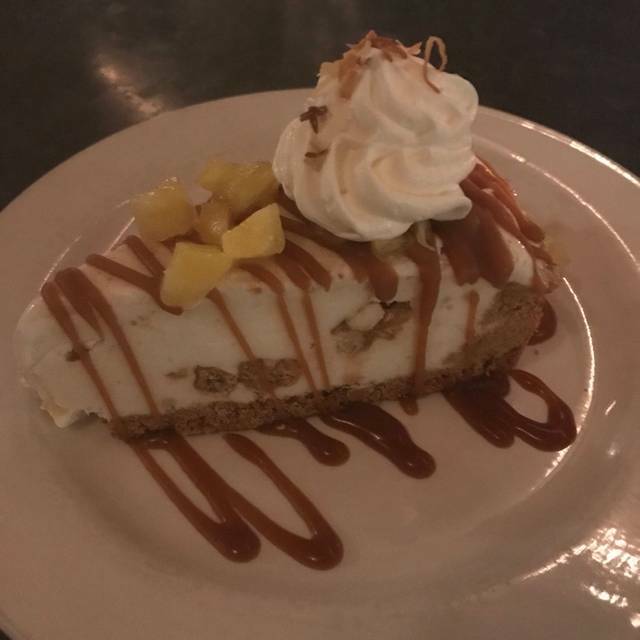 Menu items include starters like fresh Ahi Poke, Crab Cakes and Organic Salads; Local Seafood, Meat and Vegetarian Entrees; and Banana Cream Pie for Dessert! 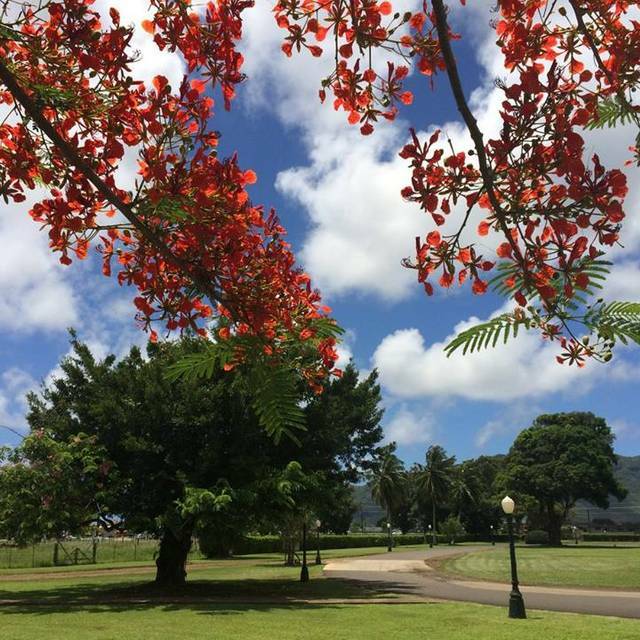 After your meal take a walk around the Kilohana grounds, shop in our assorted boutiques, visit the Koloa Rum shop or take a ride on the plantation train. Memorable by day…Unforgettable by Night. If reservations are not available online, please call us anytime and we will be more than happy to accommodate you! Braised Beef Short Rib "Dip"
Beautiful setting. Outstanding server, Jeff, knowledgeable on wines and suggestions on food. Food very good. I had a lamb stew which was tasty. Would have preferred more lamb and less potatoes but it was very flavorful. 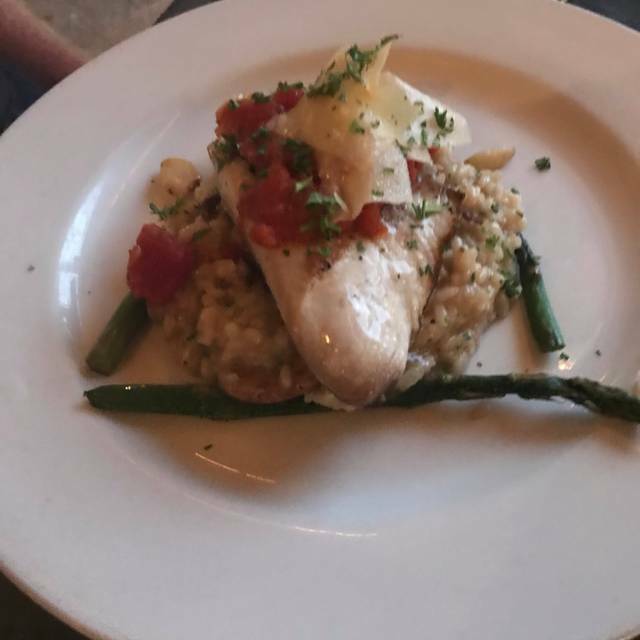 My friend had the fish special and enjoyed it. Ample portions. Very good salads and appetizers. Half of the cheap holiday lights wrapped around the lampposts guiding you up the driveway were out. This should have been our first sign of poor management. We quickly found out why it was so easy to get a reservation. No one was there! Word must be out about this place not being so great. Our waiter was quick to tell us not to order the ribs because they weren't any good. Then why are they on your menu? We ordered the "crab and artichoke cheese dip with crostinis" -- no crostini! ..just some pieces of sponge-bread that were already served to us as our table's bread. When we asked the server about the description and told him how we weren't happy with the dish, he simply recommended filling out comment cards at the end of the meal. The server needed to button up his shirt. No one wants to see your chest hair spilling out over our table where we're about to eat. The restaurant and grounds have so much potential. Too bad they can't get someone in there to do something better with the place. My husband said his steak tasted like lighter fluid. I expect my chicken to be a boneless breast, it had a bone and gristle. Bread was good, but only I piece! Guess we are used to mainland portions. We thought poor quality for the price. Was very disappointed. Nice setting - they need a better chef. Amazing what you can not do to a fish taco. Great restaurant. Delicious food and great vibe for everyone. Highly recommend. We felt it did not meet our expectations in quality as well as presentation. The food was not correct temperature. The rice was dried out. The pasta sauce was pasty. The side accompaniment was minimal. The service was slow. Fantastic service, food and ambiance! We were able to order several items and the chef split everything so we could sample and enjoy so many of their delicious items! The freshest seafood on the island! 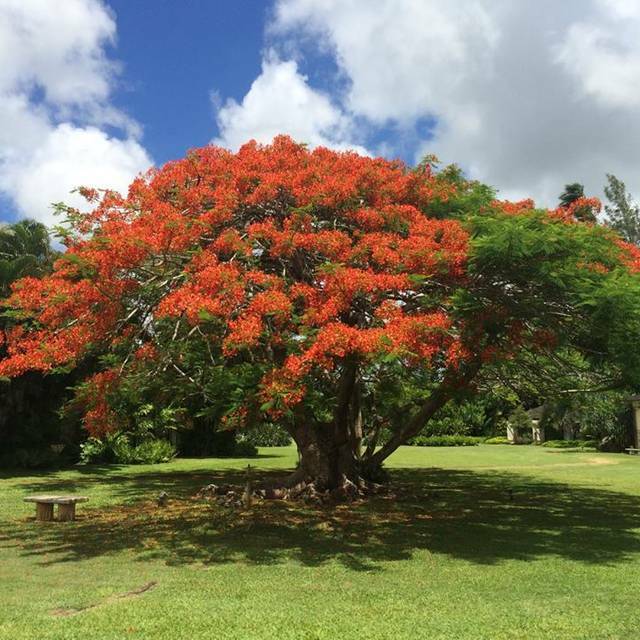 Love the history of this historic plantation and spending time enjoying the area! 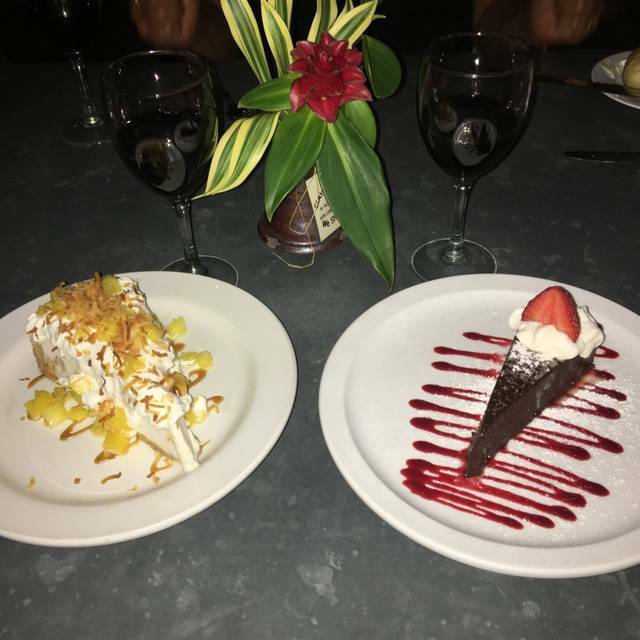 Enjoyed a birthday lunch with my best friend...we always celebrate our birthdays together...and Gaylords was so nice to give us both a delicious piece of coconut cream pie at the end of a scrumptious lunch! I had my favorite Cobb salad and my friend had the swordfish, served in the most delicious sauce we ever tasted. Gaylords is our to-go place for a delicious lunch in a beautiful setting. The staff couldn't be nicer and more accommodating. Wonderful Sunday Brunch. Food was great and entertainment even better. Definitely recommend. Arrived for Sunday brunch at 8:51am and told they could not seat us for another 9 mins. We would need to wait. Then I asked for a sunny outdoor seat. The hostess Bella sat us where she wanted - there was NO one else there! It was in the shade. I repeated I wanted sun and she replied it would get sun eventually. To which I asked - like when? She asked another server who said around 1pm- OMG! No clue Bella! The other server said it was okay for us to sit where we would like. Young girl, just doing her job but no clue that her job also included making the customer happy! Great place to enjoy lunch before our flight back home, all tables on the patio in the shade overlooking the beautiful gardens. The service was terrific-waitress was attentive and helpful to us all, including kids 4 and 6. Food selections are varied, easy to find something delicious for all. 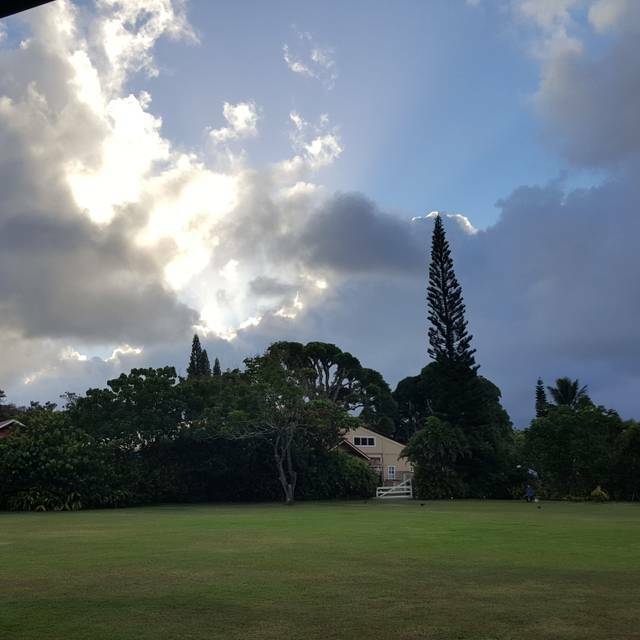 The Gaylord is a "must do" each time we are back in Kauai, but the Gaylord is aging in place. The timeless grandeur is slowly fading. The food is consistent and good, but we found JO2 to be spectacular (see small plate Cod). The Gaylord bar and vintage piano player are worth the trip alone... Try it! 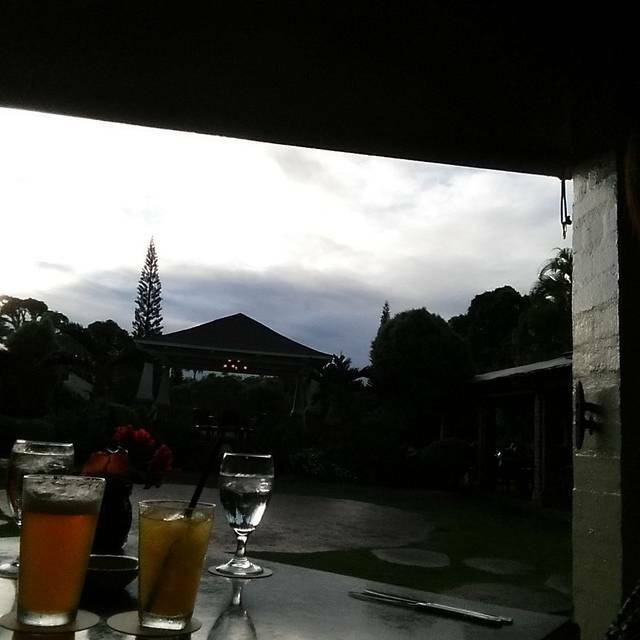 While driving to Poipu we happened to pass by this property and made a reservation for dinner that evening. The restaurant did not disappoint. Has great ambiance, attentive staff and impeccable prompt service. Has great menu options including steaks and seafood. The service excellent...the property is aging sadly. Excellent food had the Prime rib and my hubby had the shrimp pasta and both were excellent. The attendant was very help and friendly. The ambiance was lively and the background music from the luau was wonderful. All in all a very classy place. There were four in our party. My husband liked his fish choice and all four appetizers that we ordered. I was very disappointed in my pork tenderloin that was tough and swimming in a sauce that overpowered the pork. Normally I like a sauce but this appeared to be pork swimming in a sauce. The other two in our party had fish dishes that were okay but not something they raved about. We had the plantation pie for dessert that was light and refreshing!! We liked it very much!! Our dinner guests had the creme brûlée and they liked it as well. The service and ambiance were both wonderful! We had a perfect family-evening with great food and drinks in a special ambiance. The selection on the menu was great, as well as the Cocktail and wine choices. First time there and for sure not last time. Sunday Brunch - A great meal at a great price with Great Hawaiian Entertainment. Standard brunch as they have gotten rid of a few of the Island favorites since the last time we were there. Still, the grounds are beautiful and the service was excellent. 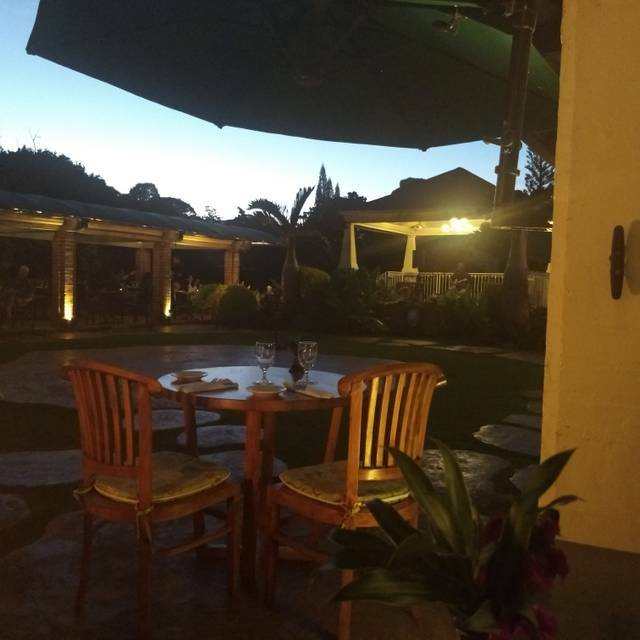 Beautiful setting, great service, but a dated menu and style of food. Food was well-prepared, but just not to our taste. Excellent food, staff and ambience. Was seated at the most romantic table. Had a wonderful evening. Also, don't skip the Mad-Tai from the bar, simply perfect. We loved the beautiful setting and the great atmosphere. There were lots of very helpful but discreet staff and the food was very tasty as were the drinks. There was also live acoustic music which was extremely well done. I highly recommend them for the food, the atmosphere and the service! Beautiful setting, nice staff, and pleasant sunday brunch. Many things to choose from the layout. Enjoyed the train ride afterwards. Delicious prime rib, wonderful brunch buffet with peaceful live music. We had a very bad experience at Gaylord’s. Their service was okay (waiters were friendly) but they should work on communication skills. We had to wait for our foods for over 30 minutes after ordering. When we asked them if our foods were ready they served them immediately which means our foods were done but sitting on the kitchen counter for a long time. Obviously the foods were not warm and didn’t taste good at all. They couldn’t even get us a glass of water since when we asked our waiter for a water, he asked the hostess to get our water and the hostess asked a different waiter to get it and it never came. We can’t recommend this restaurant to anybody. Food was mediocre at best. Service was slow. I had seared tuna which was the best part of the meal, but it was cold on my plate. My wife had scallops which was ok, she usually loves a scallop dish. Salads had odd ingredients with mushrooms. Coconut cream pie for dessert was very disappointing. Best part of the evening was the atmosphere and the live music was excellent. They need to improve the food experience to match the location and atmosphere. We’ve been coming to Gaylord’s for the past 8 years and while the service is always outstanding and the ambience lovely, the food is hit and miss. During this visit, the salads were great, but the entrees and desserts were underwhelming. The fried seafood tortellini was terrible - hidden fried crab potstickers that you find at any all you can eat Chinese buffet. The prawn pasta was flavorless and the pork loin entree was very dry. The pork ribs, however, were pretty tasty. As for dessert, the funnel cake fried bread pudding was the highlight. The plantation pie’s ingredients sounded incredibly mouthwatering, but the dish itself just tasted like boring vanilla ice cream. We were hoping to really taste the pineapple and rum and the macadamian nuts. The caramel sauce on the banana cream pie was excellent, but the pie was lacking a strong banana flavor. We also felt slightly rushed when some peoples plates in our party were cleared while others were still eating. Coming from a restaurant background ourselves, clearing plates while others at the table are still eating is just a big no-no. But, we’ll probably stop here on our next visit. Still hoping for a repeat of the magical layered veggie dish they served 6 years ago that we can’t get out of our minds. We come every time we travel to Kaui. First discovered the Gaylord in 1993. The atmosphere, food, service is always great! Love, love, love Gaylords. Have been to brunch a few times. The food is delicious, music and Hawaiian dancing too. Love their Happy hr. Waitress Shelbie is a gem. Loved our brunch. It was spectacular !! Debbie Was our server and a doll!! Very beautiful place. The food was great. They just needed a little more of certain things. Really enjoyed it. We've been there a few times over the years and have not been disappointeded. It was a lovely evening and our dinner was delicious! The food was excellent but the service was mediocre. Although the appetizer came quickly, the salad and the entrée took quite a while to arrive. The server, Valerie if I recall correctly, never bothered to check back at the table. On two occasions we had to flag down a server in the area to obtain pepper for the salad and for the entrée. We were never asked about dessert and although I had indicated the occasion was my birthday, there was no mention of this in any way. All in all a disappointing, though not terrible, dinner.